Specialising in top quality Prosciutto, this Italian family business are pleased to announce their healthy prosciutto with reduced sodium (EU patented). 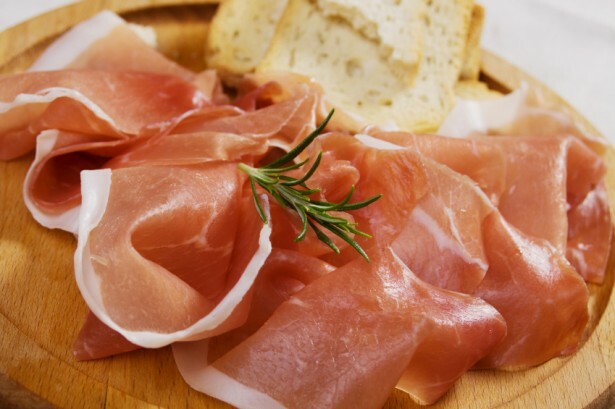 Recently launched across Italy as a favoured healthier prosciutto by a large supermarket chain and many other smaller retail outlets, some with private label, this prosciutto is proving popular and tasty. Their latest innovation is a prosciutto with a reduced quantity of sodium enriched with Potassium. Using the same high quality raw material as their Prosciutto range, they are now producing a prosciutto with around 30% less sodium than the average Italian Ham. It is known that a low sodium diet is necessary to prevent cardiovascular diseases, protect health, control blood pressure and protect the kidneys. Whilst potassium is considered necessary to support muscle growth, it activates enzymes to produce energy our body needs to correctly utilise proteins. The taste is mild and delicate. As prosciutto specialists, selecting the raw material with care, they use a restricted number of farms where they control genetic and food. Animal welfare is of utmost importance. Their prosciutto is considered to be the sweetest and most fragrant in the entire prosciutto production (Consortium’s data). They are the biggest exporters of Parma prosciutto in the US and Japan and are now looking to export to the UK market. ISO, BRC and IFS certifications.